Fahad Ahmed As far as I know or remember their is a software called WAN optimizer ,you can try that. Or you can check on wireshark software. Sumit Sharma Fahad Ahmed .. WAN optimizer is a separate dedicate device. Its purpose is to utilize its mechanism, compression is part of mechanism in such a way that Bandwidth requirement is reduced. Most common is Steelhead Riverbed. Sumit Sharma In Steelhead Riverbed, There is one feature, We have the option of checking Top Talkers List, which tells us which ip or user or device is utilizing maximum bandwidth with exact amount of data. Sumit Sharma HOW TO CHECK CONGESTION ? for that one of the reason can be the congestion. OPTION 3: Most of the time what happens is Two different servers are communicating with each other for backup. This traffic is utilization is maximum proportion of Bandwidth. Karan Puri what else if there is no wan optimizer in between ? Top talkers will help ? Sumit Sharma We can check list of Top Talkers, only on the Steelhead Riverbed device. Karan Puri top talker is general word !!! we can go for ip accounting, ip cache flow and many others types of top talkers which depends on platforms !!! Karan Puri WRED tool of QOS can also help if you can quickly calculate the correct MPD for tail drops!!!! Sumit Sharma Thats true, we have number of options depending on Network Deployment or Scenario. We have a Customer edge device or WAN device or Router at the Data center. The, comes the connected switch. When we check the OSPF neighborship at Router, neighborship with the connected switch is flapping continously. There might be the case that switch port is faulty. So, simply swap the switch port with any vacant port. How to check vacant port ? Use command: sh ip arp Gi0/0, if interface is getting arp response or not, Port should not get arp response to use it further. Cable connected between Router & Switch can be faulty. Here, we suppose that the Router port is faulty. OSPF is running on Router port. So, look for some other vacant port on Router. Example: Current port is Gi0/1 & vacant port is Gi0/2. First, remove the configuration from Gi0/1 & then paste the configuration on Gi0/2. OSPF neighborship will go down during this process. As an example, if OSPF Hello timer is configured as 1/10th of a second, which is not recommended. Then, there might be the case that due to high CPU utilization or busy CPU, Hello packets might get missed. Check the CPU utilization on Router & Switch both, if CPU utilization is high, Hello packets might get missed. Abhi Singh Broadcast frames usually have a hosts MAC/IP address in the SA field. An example of a layer 2 broadcast is an ARP Request. in an ARP request Host A [IP=10.1.1.5 MAC=AA:B2.CD] knows the destination IP I want [10.1.1.11], but do not know the destination MAC address, so it is a unicast L3/broadcast L2. ==> broadcast L2 frame has the dst MAC set to ff-ff-ff-ff-ff-ff. ==> Means broadcast will be done in a particular subnet only. ==> Means Broadcast will be done in all the subnets present in the network. Abhi Singh Thanks Sumit Sharma sir……..
Sumit Sharma Abhi Singh .. Hope so .. If you compare both the above comments, atleast initial picture will be clear. Thanks. can anyone throw some light. Learning routes in routing table via ospf but it is showing as “discard” in the routing table. What could be the possible reasons ? You, Unni Practise and 3 others like this. Sanjay Baveja Discard route entries r in the routng table of abr/ asbr to prevent routing loop. Happdms in route sumarizatn. Sumit Sharma LAYMAN EXAMPLE ==> During Route Summarization, loop might occur. Example: If traffic comes for a network which lies in the summarized range, but actually network do not exist. ==> To avoid this, by defaut, Discard route is installed. ==> If traffic comes for 172.16.0.126/25, which is not present. Sumit Sharma Right Bro .. U got it right .. !! Sumit Sharma Going one step ahead, try to find out some scenario .. when we remove this discard route, although option is very rarely used. ==> Port status of 1,2,3 & 4 is shown. Port 1 & 2 are up, whereas port 3 & 4 are down. 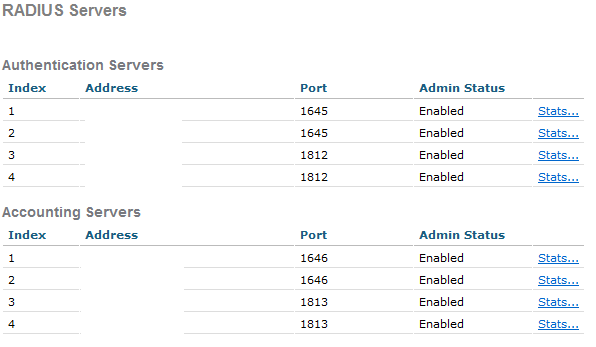 ==> In Access Point Summary, All APs = 5, which is showing the total number of associated AP’s. Click on details for further information. ==> In Client summary, shows the user’s connected to WLC. Click on details for further information. ==> Authentication used between AP & WLC is Internal Authorization. Internal Authorization means authentication using certificates, not using any external server. Here, certificate type is MIC. Other options are SSC, LSC. ==> AP mode is local. Other possible mode can be Flex connect mode. ==> Here, Gi0/0/1 & Gi0/0/2 are the ports on WLC. ==> In Neighbor name, connected devices host name is shown. Neighbor ip is the ip of connected devices to WLC. ==> Neighbor Name shows the name of connected devices, which should be a switch. Neighbor address is the ip address of the connected switch. Neighbor port is the connected port on switch. FB DISCUSSIONS: HOW TO CHECK BANDWIDTH ? What would be the possible reason for not getting complete throughput on a link? Scenario:- I have a 144 Mbps circuit but able to use 4 Mbps of it only. Note-Port setting, policy setting and cabling has been already verified. will appreciate your helps on it. Manjunath S Chickmath check the Quality of service (QOS) provided by Service provider or check on different port if that helps..
Bharat Jaiswal is it abt wireless…? Sarvesh Dubey Hi Munnawar Shaikh I will post the configuration by today EOD, Bharat Jaiswal it is wire-line not wireless, Debu Chakrabarty this link is bening use for DCN to mange optical nodes of a service provider, policy on the router applied for this link is of 144Mbps only. Manish Yadav Refer data sheet of router and check router supports how much bandwidth capability overall. Sampath Kumar Dude remove the ISP cable from your switch put it directly to ur PC. configure static ip with the public provided by the ISP, now check the Bandwidth speed if u r getting 4MBPS only give a hard kick to isp provider. If you r getting the full bandwidth in your PC, then case1: any huge downloads may be going on, try to find in that way. case2: QOS policy is done on router or firewall to check that go through the running config of entire router(by using “|” (pipe symbl) may reduce ur burden). if qos is enabled remove it. Manish Yadav for eg the router has capability of 160Mb . On router one 80 Mb link is terminated (i.e;occupied) and also other parameters consume bandwidth like hello,encryption,etc. remained with 40% of 160MB. Abdul Wahid 1st check what is with isp is policy configured for 144. and informed to isp test link on ethernet tester, how much throughput you are getting. you will get 100% result. Sumit Sharma Sarvesh Dubey .. Good to c u .. !! Sumit Sharma Little Probing I will do. ( 1) first confirm if at PE end, capping is actually done for 144. ( 2 ) If things are OK at ISP, we need to verify from our end if we are getting the committed speed, for testing I recommend do not check live traffic or some download which will obviously do not show the actual bandwidth. Go for some third party software which pushes traffic to the maximum limit on the link, which is equal to bandwidth of link. Sumit Sharma If you are checking by above method, then you don’t have to worry for QOS. As above method will show the total bandwidth, irrespective of the type of traffic. Sumit Sharma Debu Chakrabarty .. I am posting link below, with little explanation of tool working, take a look .. In BGP routes, if routes are learned with symbol ‘r’. What is the meaning of symbol ‘r’? Explain some scenario for illustration ? Cisco Sahil and 20 others like this. Anubhav Srivastava symbol ‘r’ , means rib failure, right ? Sagar Kothekar “r” means RIB failure…. Cisco Sahil I think, r stands for RIB failure. If the routes are not learned in the way they should be. Need to check out some scenario. Kuldeep Kothari rib failure means similar route already installed in routing table with better AD. Sudipto Lal Holud Dutta can anyone say what is RIB…..i dnt know it…. Sumit Sharma Can we have some scenario showing when RIB failure occurs ? output and are not advertised to the peers. FB DISCUSSIONS: WHY WE NEED IP ADDRESS ? We have the MAC address to uniquely identify the network components ? Then, why we need the IP address for identification ? What is the logic ? Sarvesh Dubey, Unni Practise, Mukesh Suthar and 29 others like this. Chakkaravarthi Vinayagam In layered architecture we can’t route the packets with the help of #MAC_address if we do so our entire internet domain act as a single cluster. If we use #IP_address we can create multiple cluster like what we have in today internet domain. We can able to identify problems and avoid unnecessary routing into our private network. Mac is used to locate the host on that network. While communicating with remote hosts we dont use the mac of the destination host instead we use the mac of our default gateway…. Our ip takes us to that network afterwards we use arp to find the mac of the destination host. Cisco Sahil Thats right .. Both are used for identification …. But there should be some logic behind using each & every term. Will check out ..
Cisco Sahil Here, we are talking about mechanism, which is perfectly right, as said in above comments. But friends we need some more strong logic to justify. Rytesh Vishwakarma ip is used to locate the network Mac is used to locate the host on that network. While communicating with remote hosts we dont use the mac of the destination host instead we use the mac of our default gateway…. Our ip takes us to that network afterwards we use arp to find the mac of the destination host. Cisco Sahil Ajay Kumar .. Yes you are right, using Layer 2 trace route & Layer 3 trace route, we can understand complete network. This is the mechanism to understand. But we need to go into background to understand the designing basics of MAC address & IP. Usman Tahir we need the ip address to logically identify the hosts because the ip address is logical address to send traffic between the end to end hosts. Usman Tahir in other words mac address is used to identify a host only on a link but ip address is used to identify a host within the whole network. Sajad Wani Ya Rytesh ! Frame never leaves the default gateway , now the frame will be encapsulated(packet) with the Ip address and decapsulated on the other end. Sumit Sharma Dear Members, Thanks all for your inputs. Everyone got the right point. Mechanism explanation is absolutely right. Fahad Ahmed If a device or a host is on another network, then we need to have its ip address as the routers need ip address of a machine to forward the packets. Sumit Sharma One very good logic given by candidate: MAC address is used for identification, true, But MAC addresses cannot be summarized, Individually they could have made the routing table very large, which is impossible to be handled by the network devices. Whereas, IP’s can be summarized, this is what we are doing in our network, that’s why network devices are able to handle routing tables. Fahad Ahmed Sumit Mac address is used to identify a device or a host on LAN but IP address is used to identify a device or a host on Internet. Priyanka Nath MAC address for Switched network. IP address for Rouing network. Sumit Sharma Mohamed Salman .. You got the right logic .. !! Sumit Sharma One thing: SCALABILITY: IP’s have standard format, MAC address don’t have ( Varies from vendor to vendor ). So, there cannot be summarization. Without summarization, Its not feasible at all to handle routing table in live environment. This is a strong reason, we are using ip’s. Fahad Ahmed But don’t mac address has 13 bits notation? Abhay Karanwal a network consist of Ethernet cable, serial cable, FR PVCs and ATM PVCs, MPLS …… all the medium have different header type at layer two.